With the 2018 World Cup tournament just around the corner, the 32 participating teams in Russia are finalizing preparations and building up confidence before jetting off for the Eurasian country — of course each country expected to arrive at least five days before their first game. Nigeria’s first foes in the tourney, the Group D opponents of Croatia, Iceland and Argentina continued their pre-tournament activities and we would recap how they fared versus the countries they faced off last week. 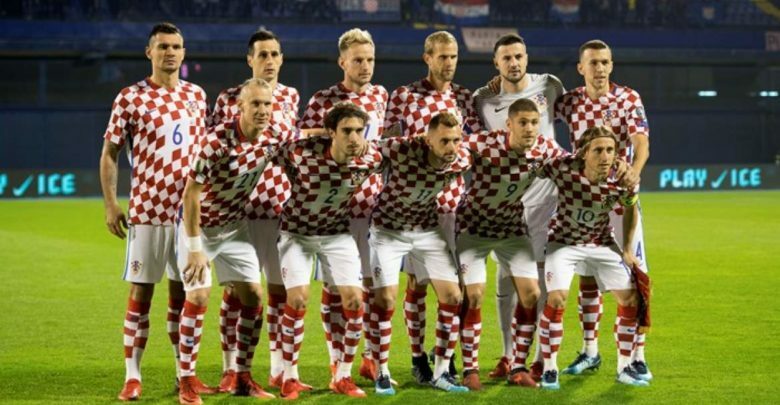 For our first opposition Croatia, Zlatko Dalić named a very strong starting XI who went down 2-0 to Brazil at Anfield on Sunday evening. Prominent among his starters were Ivan Rakitic, Luka Modric, Ivan Perisic, Dejan Lovren among others. After the recess which saw scores deadlocked, goals from Neymar and Roberto Firmino eventually saw off The Blazers, with Modric, Rakitic and Milan Badelj among those who made way in the second half. That result meant Croatia have won just once in their last four games (a 1-0 versus Mexico in a friendly encounter in March) drawing with Greece in their last WC qualifier and has lost to Peru and their latest opponents by same scoreline. Next, they take on Senegal on Friday in preparation for their game with Nigeria. Iceland, on their part suffered a 3-2 home defeat to Norway at their Laugardalsvöllur Stadium on Saturday evening. Johan Berg Guðmundsson, Alfredh Finnbogason, Jon Böðvarsson and Emil Hallfreðsson were some of the names that started for the Icelandic nation while Gylfi Sigurðsson who was among the substitutes scored just seven minutes after he came on in the 63rd minute. Finnbogason earlier pulled one back for his side from the spot after 30 minutes though their visitors late onslaught handed Our Boys their third consecutive defeat going into their last tune-up game with Ghana next Thursday before they face Argentina. Finally, Argentina were well in the mood and bounced back strongly from their 6-1 loss to Spain in March with a 4-0 trouncing of Haiti at their Alberto José Armando stadium in Buenos Aires. Talismanic captain, Lionel Messi who started alongside a host of his influential teammates the likes of Angel Di Maria, Gonzalo Higuain, Willy Caballero and Javier Mascherano, hit a hat trick for the South Americans, opening the floodgates from the spot before dispatching another two well taken goals. Sergio Aguero came off the bench to add further gloss with a fourth while Ever Banega, Cristian Pavon and Marcos Rojo also featured for Jorge Sampaoli’s side. The win was their second win in four games since beating tournament hosts, Russia in 2017 though they have also lost to Nigeria aside from the La Roja within that period.